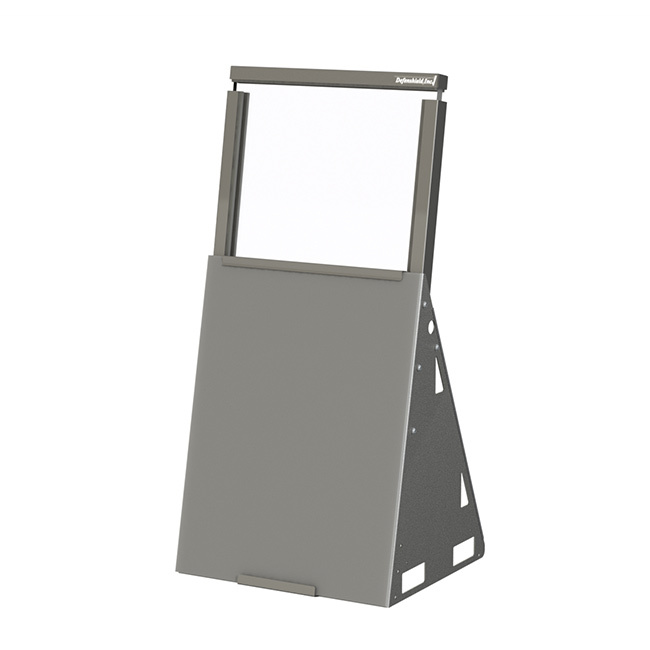 DS-180 SERIES | Defenshield, Inc. The Tool of Choice When Protection Against Rifle Threats from 5.56mm and 7.62mm NATO Rounds is Required. The DS-180 series is certified by HP White Labs to NIJ Level III and meets the US Department of State standard DS-STD-01.01. National Stock Number (NSN) information is below. The DS-180, caster mounted DS-181, and ATV-style tire equipped DS-182’s are designed to protect security forces in locations where the highest level of threat exists, including terrorist activity. It is the only mobile, full coverage and full field of view, ballistic resistant tool on the market. 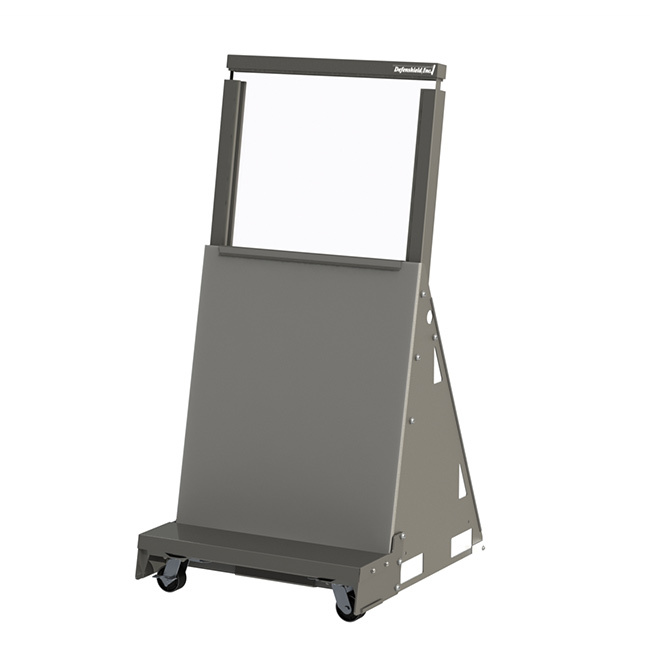 Offering up to 12 square feet of viewing area in a mobile package, the DS-180 series offers protection to the military, anti-terrorism teams, combat groups and observers, infrastructure security guards and anyone else who may come under the threat of hostile sniper rifle fire or terrorist attacks. The DS-180 series is particularly effective for use at fortified ECP’s and overwatch positions. When a soldier, guard, observer or negotiator is behind a Defenshield MDFP, they become the highest form of deterrence. The glazing and armor protects against 7.62mm Full Metal Jacketed (FMJ) bullets (U.S. Military designation M80), with nominal masses of 9.6 g (148 gr) impacting at a minimum velocity of 838 m/s (2750 ft/s) or less. 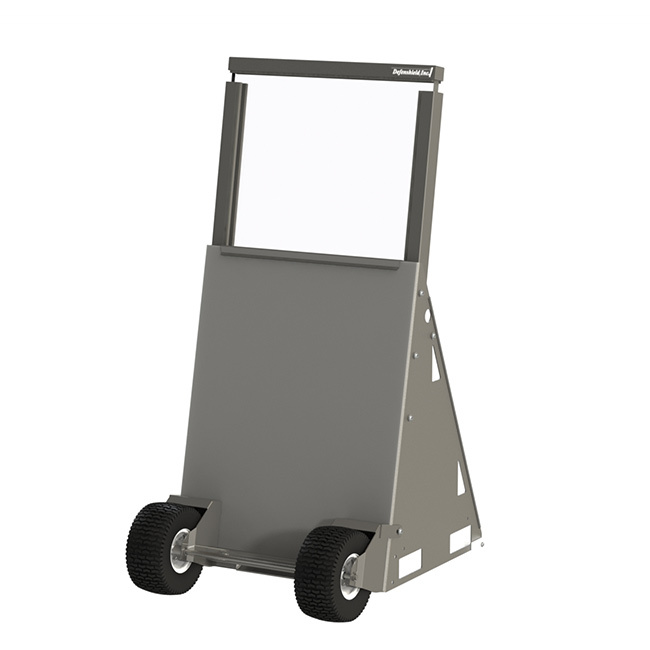 The DS-180 Series Mobile Defensive Fighting Position is independently certified by H. P. White Laboratory, Inc. to satisfy the ballistic resistance requirements of NIJ-STD-0108.01 for Level III protection. This series also meets the US Department of State standard DS-STD-01.01.